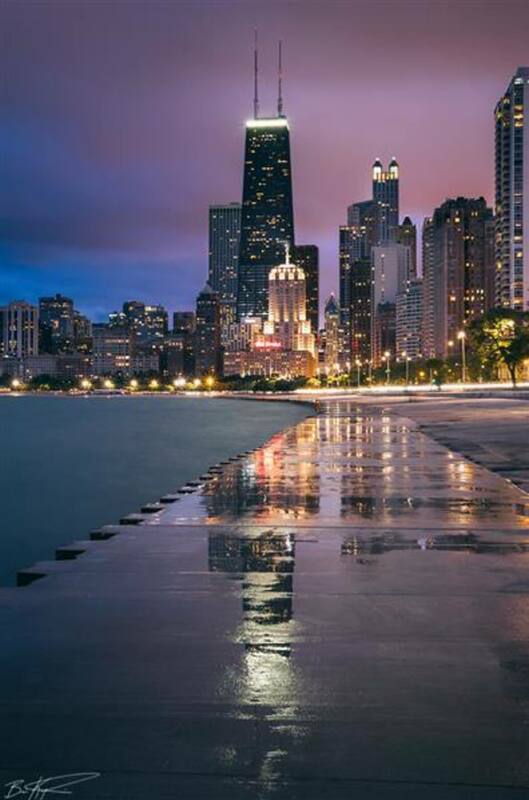 The jewel of Chicago, this 18.5-mile paved path offers riders amazing views of Lake Michigan and the city skyline. 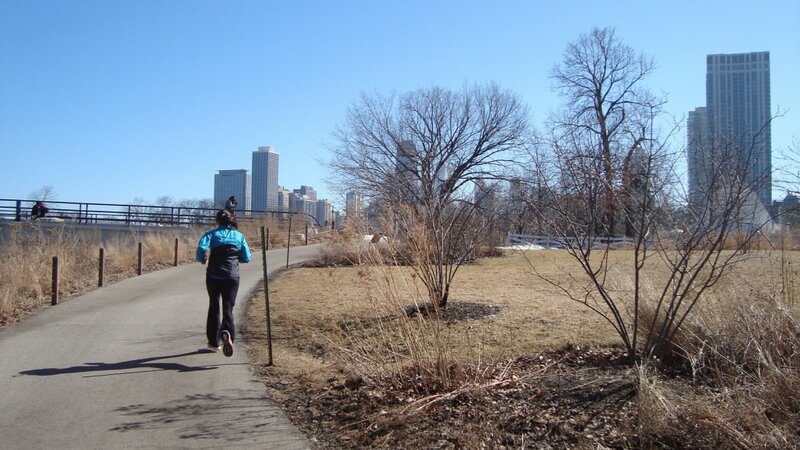 What Central Park is to New York, the Lakefront Path is to Chicago—the signature, tourist-friendly place to both get exercise and experience the best of the city. The 18.5-mile path starts at Hollywood Avenue on the North Side and hugs Lake Michigan all the way to the Chicago Cultural Center at South Shore Drive. Along the way it shows off the city’s beaches, parks, the Lincoln Park Zoo and too many cultural attractions to name. Over the length of the trail there are some street crossings and slow points, but for the most part, runners enjoy an almost uninterrupted path that features accurate mile markers every half mile, frequent water fountains (at least in the warm-weather months), rest rooms and plenty of other runners for safety and company. The downside of such a gem is that it gets crowded—especially during good weather days during the summer. You’ll have to keep your eyes out for cyclists, inline skaters, walkers, young children and picnickers crossing the path. The area between Lincoln Park and downtown can get particularly congested. For runners, this may mean occasionally altering your pace, but it’s a small price to pay. 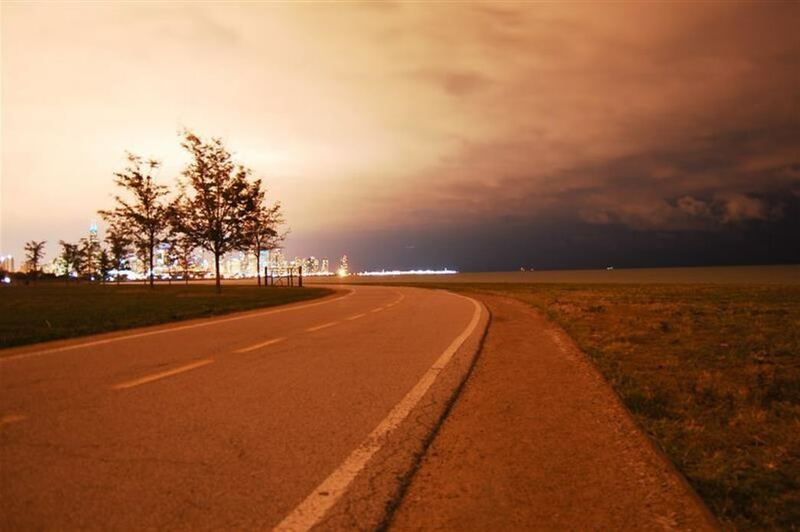 There are few trails in the country that can match the Lakefront Path’s blend of beauty and functionality. It’s hard not to be energized on a morning run when you get that view of the city’s skyline. The surface is a mix of asphalt and crushed limestone sections, with a little bit of concrete thrown in here and there. It’s hard to think of a better place for a long run, with its accurate mileage markings and water and bathroom availability. 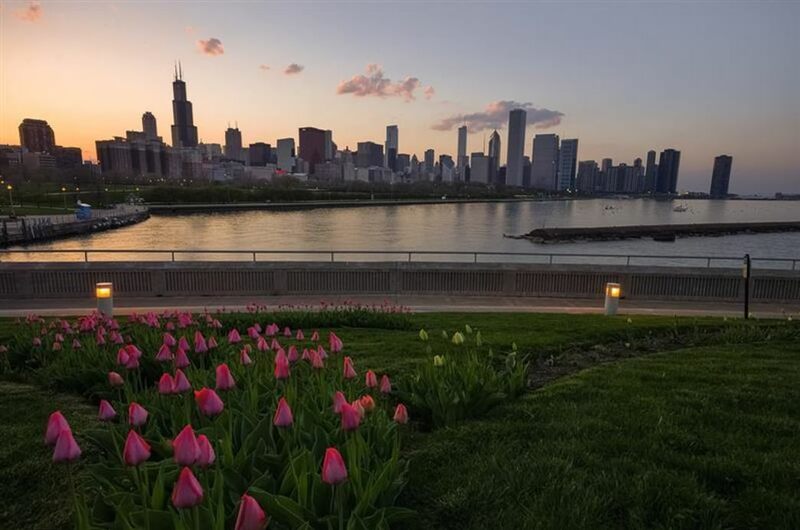 The Lakefront Path also gives runners access to some of Chicago’s cultural treasures, from Millennium Park and the Museum campus downtown to the Museum of Science and Industry in Hyde Park. While the path obviously stands on its own, it also severs as a way to reach and explore new neighborhoods. See a full map of the Lakefront Path here. Favorite Sections At the 1.5 mile mark, runners can take advantage of Cricket Hill, the only real elevation change on the trail outside of overpasses (of which there are several). Get a view of Belmont Harbor at mile 3, and the Lincoln Park Zoo at mile 5. Check out the bronze bodies playing volleyball at North Avenue Beach at mile 5.5, followed by the state’s biggest tourist attraction, Navy Pier around mile 7.5. Enjoy Monroe Harbor and Buckingham Fountain near the path’s halfway point at mile 9. Between mile 9.5 and 10.5 you get a tour of the city’s museums, including the Shedd Aquarium and the Field Museum. Soldier Field and the McCormick Place Convention Center are along the path around mile 11. South of McCormick Place is generally a bit less crowded, and a good spot for tempo runs with amazing views of the skyline. The beach at 57th street (mile 15.5) draws big summer crowds and is opposite the Museum of Science and Industry and the University of Chicago. The South Shore Cultural Center (mile 18) is another historic gem with beautiful grounds—and a great place to start or end a run. 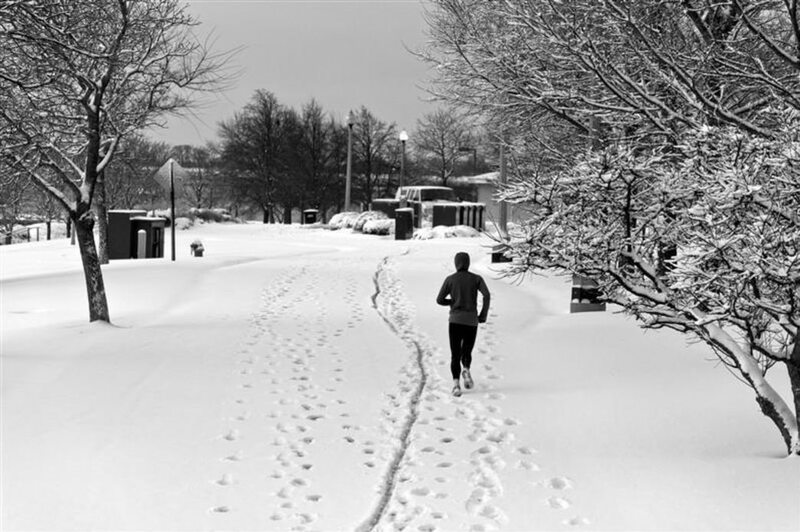 For Chicago runners, it is the go-to spot for any run. 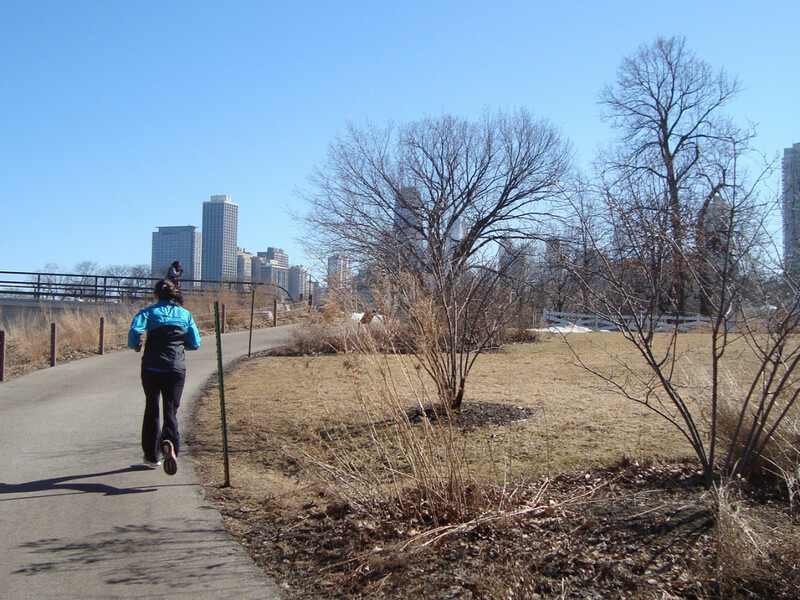 The Lakefront Path also gives runners access to some of Chicago’s cultural treasures, from Millennium Park and the Museum campus downtown to the Museum of Science and Industry in Hyde Park. 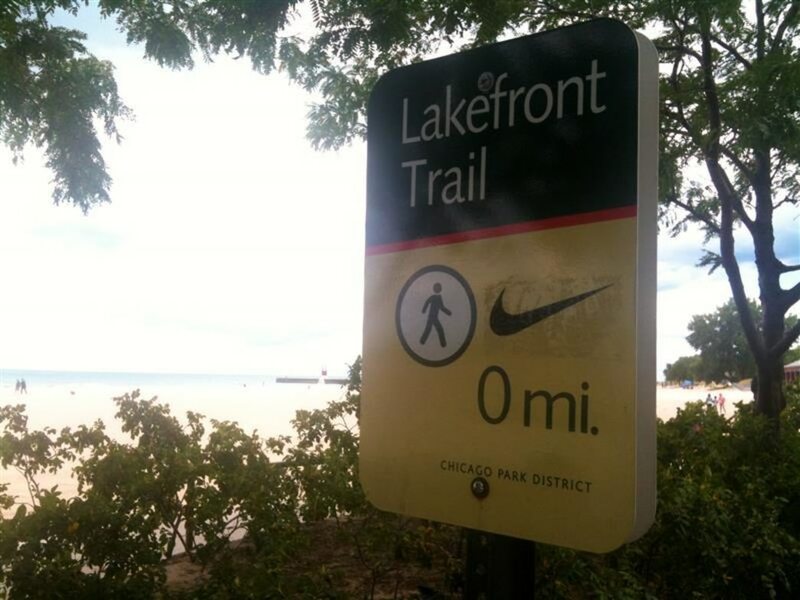 Access to the trail is available all along the Lakefront, and parking is available nearly the entire route—just at various costs. Montrose Harbor (at mile 1.5, which is at Montrose Drive) is a popular place to meet because of the ample parking, a rarity in the city.